Registered Australian Address : Pharmaxis Ltd | 20 Rodborough Road, Frenchs Forest, NSW 2086, AUSTRALIA. By entering the website you agree to be bound by these terms and conditions of use. These terms and conditions and the information on this website are governed by, and are to be construed according to the applicable laws of the State of New South Wales of the Commonwealth of Australia. 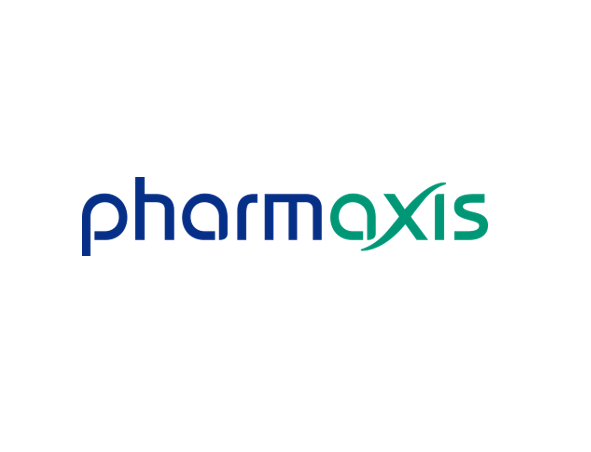 Pharmaxis Ltd may at its sole discretion modify, remove, add, change, or amend, any part of these terms and conditions or any of the features of the website without notice or liability. By logging on, you will be assuming all risks associated with use of the website, including risk to your computer, software, or data being damaged by any virus which might be transmitted through the website. Pharmaxis Ltd will attempt to ensure that the information available on the website is accurate. However, to the maximum extent permitted by law, this website and the materials contained on this website are provided “as is" and without any representations or warranties, express or implied. Without limitation, Pharmaxis Ltd does not warrant that this website or the materials contained in or accessible through the website: i) will be constantly available, or available at all; b) is complete, accurate, without error, non misleading; or c) suitable for your intended use. 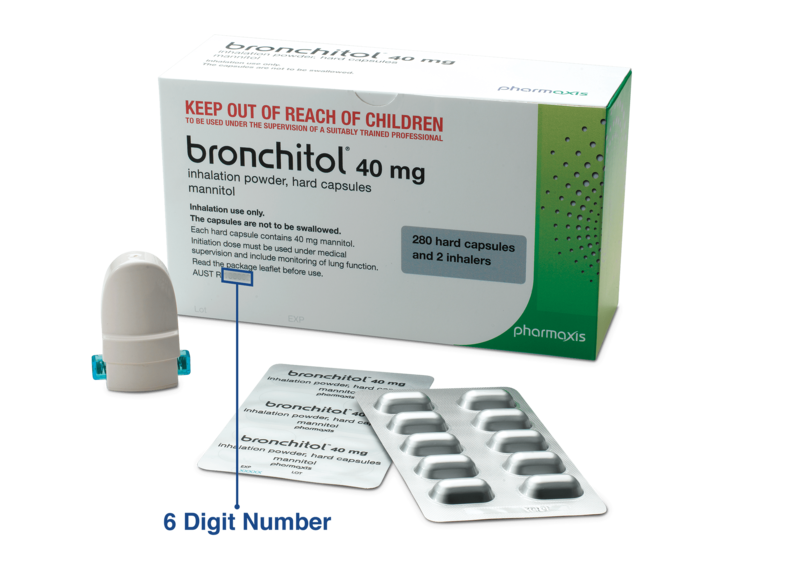 The information presented through this website is for the sole purpose of informing people about Bronchitol® and is for general information purposes only. Any medical information provided on this website should not be relied on and individuals should consult their own health care professionals. The listing of a person or organisation in any part of this website are for convenience only and in no way implies any form of endorsement of the information, products or services provided by that person or organisation. Any material downloaded or otherwise accessed through the use of this website and is done entirely at your own risk. To the maximum extent permitted by law, the Pharmaxis Group and its officers, employees and agents will not be liable to you (whether under the law of contract, the law of torts or otherwise) for any costs, claims, expenses, charges, losses, damages or penalties of any kind (including indirect, special or consequential loss or damage, business losses, loss of revenue, income, profits or anticipated savings, loss of contracts or business relationships, loss of reputation or goodwill, or loss or corruption of information or data) incurred directly or indirectly through your use of the website or your reliance on the information on or available through the website or any error, omission or misrepresentation in any information on the website or available through the website. Nothing in this website disclaimer will exclude or limit any warranty implied by law that it would be unlawful to exclude or limit. By using this website, you agree that the exclusions and limitations of liability set out in this website disclaimer are reasonable. If you do not think they are reasonable, you must not use this website or the materials found on this website. © Pharmaxis Ltd. The copyright in this website and the material on this website (including without limitation the text, computer code, artwork, photographs, images, music, audio material, video material and audio-visual material on this website) is owned by the Pharmaxis Group and its licensors (as applicable). print a single copy of documents from the website in unaltered form, for your personal, non-commercial use. The Pharmaxis Group does not grant you any other rights in relation to this website or the material on this website. In other words, all other rights are reserved. For the avoidance of doubt, you must not adapt, edit, change, transform, publish, republish, distribute, redistribute, broadcast, rebroadcast or show or play in public this website or the material on this website (in any form or media) without the Pharmaxis Group's prior written permission. Pharmaxis' logo and its products, including Bronchitol® and Aridol® are trade marks of Pharmaxis Ltd. Unauthorised use is prohibited. You may request permission to use the copyright materials on this website by writing to info@pharmaxis.com.au. Your privacy is important to the Pharmaxis Group. This privacy statement provides information about the personal information that the Pharmaxis Group collects, and the ways in which Pharmaxis Group, collects, uses and discloses that personal information. The Pharmaxis Group will generally collect its information from you, however, it may also collect information from a credit reporting agency, where we conduct a credit check. This website contains links to other websites. The Pharmaxis Group is not responsible for the privacy policies or practices of any third party. If you wish to access the personal information the Pharmaxis Group holds about you, you can do so by making a request to us. The Pharmaxis Group may impose a charge for providing you access to your personal information.